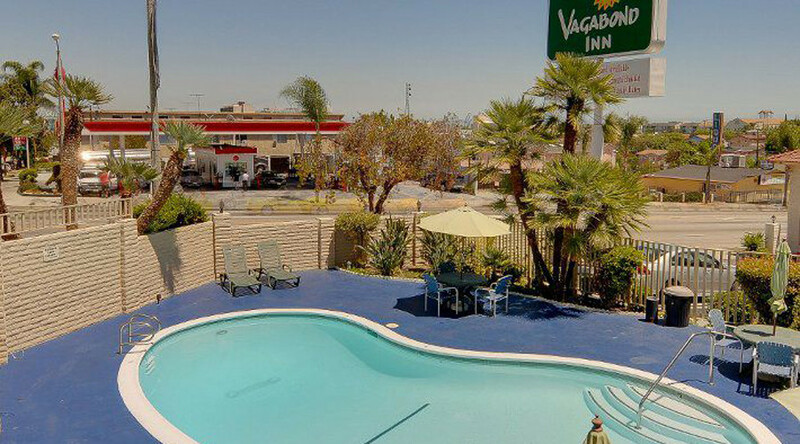 A vehicle crashed into the swimming pool of a Los Angeles neighborhood motel, injuring eight people, including the driver, who was left in critical condition, according to the city’s fire department. The accident occurred in the San Pedro neighborhood on Sunday evening at around 7:30pm, when an SUV slammed through a brick wall and sank into the Vagabond Inn’s swimming pool. Many children aged six to ten were in the pool at the time of the crash, according to witness accounts cited by the media. “It was heartbreaking. As soon as I heard it, and when I came [right] I saw the car. And I saw little kids right there being treated for injuries. It was terrible,” one woman told CBS Los Angeles. By the time firefighters arrived at the scene, the driver, reported to be in his 20s, had been pulled out of the vehicle. “I ran over there and people were trying to lift the car... I took this guy out of the car, you know, try to unbuckle him... he was choking... and someone did CPR,” Johnathan Zayas, who works at a gas station across the street, told KABC-TV. “All others were in the pool area and are now being evaluated at the scene for apparent minor injury,” Los Angeles Fire Department spokesman Brian Humphrey told NBC Los Angeles. The police are now looking into whether the driver was under the influence of drugs or alcohol.